When is the Visage game PS4 release date? The survival horror game Visage is currently in development by SadSquare Studio and supporters are eager to know more about its release. Since launching a successful Kickstarter campaign for the video game back in 2016, SadSquare have been hard at work building a playable version of the game. They announced in May 2018 that they were nearing a point where they might announce a release date. Then, in September, they announced that a test version of the game would soon be available to download and play via Steam. As of October 2, the Early Access version was available for those keen to give the game a test ride and offer feedback as the developers approached a completed version. The game is generating a lot of interest and gamers wants to know when the title will be released for PlayStation 4 as well as other consoles. The original estimated delivery for the game was January 2017, but – unsurprisingly for a game being made on such a tight budget – things have been pushed back since then. In an update post on September 25, the team announced that they were releasing their Early Access version and offered a detailed explanation for the delays in finishing the game. They also offered a specific estimate for when they believed the full version for PS4 and Xbox One would be completed: in four month’s time from the release of the test version. That gives a rough release date of February 2019.
what is the visage game about? Pitched to backers as a truly unique playing experience, where events are “randomly activated throughout the game,” Visage is as much about story and atmosphere as it is gameplay. The game experience takes place in a very old house, plagued with a nasty history which is slowly uncovered as the story itself unravels. 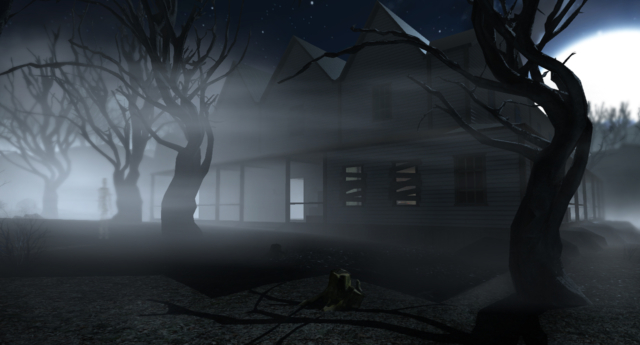 Through flashbacks and other narrative devices, the player gets a firsthand retelling of the various families who have lived in the house over the centuries. You discover precisely how some of these families met a grisly end and learn the dark secret which lies behind the horror. Is Forza Horizon 4 coming to PlayStation 4? Will Spider-Man come to Xbox One, or just PS4? When will I be able to play Horizon Zero Dawn on Xbox One or PC? When will Final Fantasy 12 be available to play on PC and Xbox?